Mary Scanlon had no idea a $3 purchase from a Goodwill store in Phoenix would turn out to be a rare link to the civil rights movement's most revered leader. Last April, Scanlon was at the thrift store when she spotted a pile of 35 vintage reel-to-reel tapes, including one labeled with the Rev. 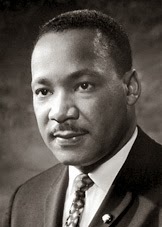 Martin Luther King Jr.'s name. Despite the moldy and torn packaging, she snapped up all of them. "I didn't really necessarily have any expectation that this tape would be rare," Scanlon said. Arizona State University archivists have found that tape is the only known recording of speeches the slain civil rights leader gave at ASU and at a Phoenix church in June 1964. The hour-long audio has since been digitized and is now available for listening on ASU's website through June 30.